I don't think I've seen one of these pennies. If I knew they existed I'd forgotten them. In 2009 the US mint suspended production of the regular penny and minted four different varieties of commemorative Lincoln pennies in honor of Lincoln's 200th birthday. Each variety has a different reverse. 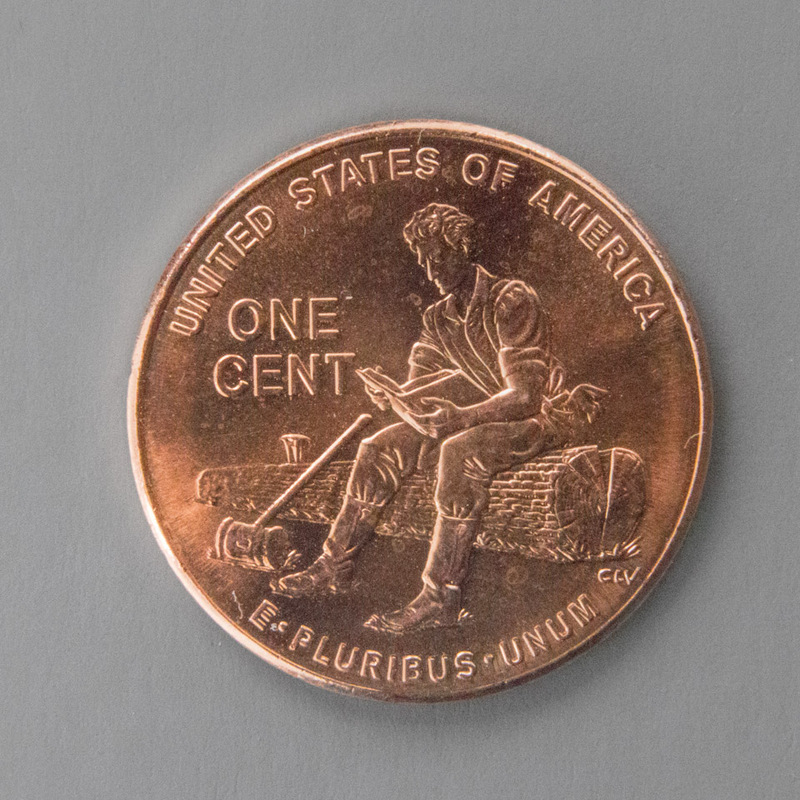 In 2010 they introduced the newly redesigned penny with a union shield replacing the Lincoln Memorial on the reverse. The commemorative pennies were only minted in 2009. I guess I don't look at my pennies close enough. I took this photo of a commemorative penny I found in my pocket this morning. I used a 50mm Macro lens with +2 & +4 closeup filters added on. I had a little trouble with the lighting but finally got a shot I was happy with.